We are a hub of spirituality and social activities for Jewish young professionals in Manhattan since 2008. Dedicated to serving Jewish young professionals with Ahavat Yisrael, an unconditional love and concern for every Jew, regardless of background or affiliation. Our network consists of thousands of young professions, who attend our sophisticated, avant-garde events and educational and volunteer opportunities. We strive to create a personal and warm setting, an opportunity to explore and cultivate one’ s Jewish knowledge and heritage. We provide the tools to live Jewishly, ensuring the future of our people. 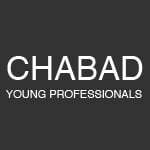 Chabad Young Professionals is a division of Chabad of Midtown .